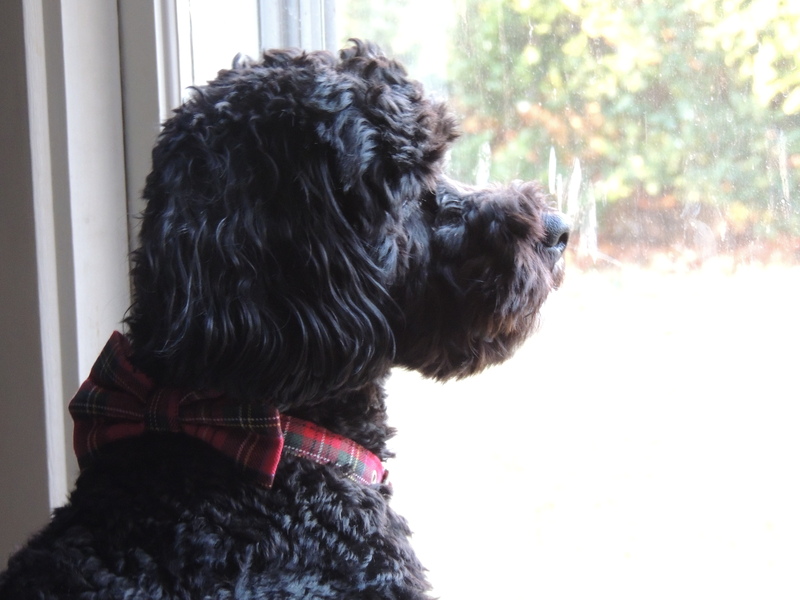 This entry was posted in Family, Humor, laughter, Life, Love, Photography and tagged animals, anxiety, birds, cockapoo, Dogs, Pets, worry by lyonsroarforgod. Bookmark the permalink. Poor little Finnegan! He doesn’t look fretful, sitting there with his “spiffy-looking” plaid bow tie! 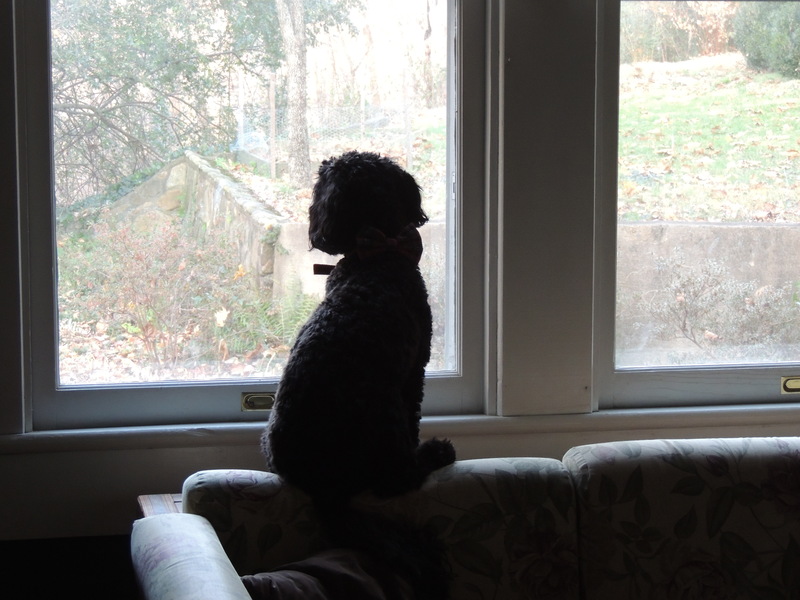 Yeah…you should have seen him in action….scratching at the window, whining, barking, jumping about….it was a sight to see. 🙂 But you’re right about the bow tie! 🙂 🙂 Good doggie, protecting you.